The pet of Barbie is getting high tech makeover. 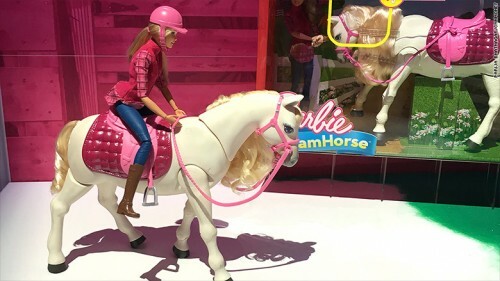 The Barbie Dream Horse is her most interactive horse. This toy horse is manufactured by Mattel and it responds to touch and voice. The horse moves in direction of your voice. When you touch the spots present on its body and feed it with small plastic carrot and there are the sounds of its eating. It gives over 30 sounds and the reactions. The price of the Barbie is about $100.